Lexington, Ky. – November 8, 2013 – The Thoroughbred Aftercare Alliance (TAA) announced today that it has hired James Hastie as the organization’s Executive Director, effective November 18, 2013. Mike Ziegler, who has served as the TAA’s Executive Director since March 2012, will remain with the organization through a transition period before returning full-time to his role as Executive Director of the NTRA Safety and Integrity Alliance. Hastie joins the TAA from Cazenovia, N.Y. and brings to the role 15 years of executive management, fundraising and communications experience. Most recently he served as Major Gifts Officer for the American Red Cross in Syracuse, N.Y., where his responsibilities included identification, cultivation, solicitation, stewardship and communications with major donors. He also held roles as Interim Chief Development Officer and Public Affairs Specialist at the American Red Cross. His prior experience includes leadership roles at State University of New York, Zurich Rowing World Cup, IMG/TWI, the U.S. Equestrian Team, and Walt Disney World, Inc. Hastie holds a Master of Science in Communications Management from Syracuse University, and a Bachelor of Science in Communications and Marketing from LeMoyne College in Syracuse, N.Y. He will be based in the TAA’s Lexington, Ky. offices. Hastie also brings a long history of involvement with equestrian sports. He served as Director of Communications for the U.S. Equestrian Team from 1997-2000, and as Executive Director of the Morrisville College Foundation (MCF) he spearheaded fundraising efforts to build the Morrisville State College Equine Rehabilitation Center. He was also involved in organizing the 2012 American Express Ride for The Red Cross, a trail ride in Wellington, FL featuring Olympic riders and benefitting the American Red Cross National Disaster Relief Fund. Based in Lexington, Ky., the TAA is a 501(c)(3) non-profit organization designed to serve as both an accrediting body for aftercare facilities that care for Thoroughbreds following the conclusion of their racing careers, and a fundraising body to support these approved facilities. Funded initially by seed money from Breeders’ Cup, Ltd., The Jockey Club, and Keeneland Association, the TAA is comprised of and supported by owners, trainers, breeders, racetracks, jockeys, aftercare professionals and other industry groups. 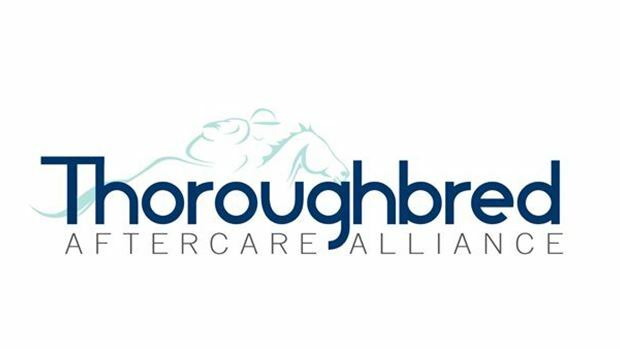 To support the TAA, please visit thoroughbredaftercare.org or call 859-224-2756.